Home News Smart Cities What Smart City Initiatives Will Emerge First? Initiatives inside of a smart city are forecasted to attract technology investments to the tune of more than $81 million globally this year and will grow to $158 billion by 2022, according to market research firm International Data Corp. (IDC). Smart cities are urban areas that use the Internet of Things (IoT) sensors and technology to connect people and devices together across a city to gather information as well as to improve citizens’ lives. 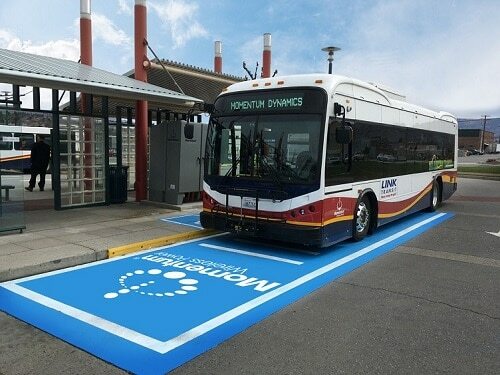 These connections might be done via a mobile app or through municipalities’ communications channels in order to help residents or visitors avoid traffic jams, find a parking space, report accidents, adjust smart lighting to reflect different times of day, find an autonomous vehicle for ride sharing and more. Some of these projects have already begun. Just this month Drive.ai launched a pilot program in Frisco, Texas for an on-demand ride-hailing service that will use artificial intelligence-powered autonomous technology. Waymo, the self-driving wing of Google, launched its Early Rider program about a year ago with the goal of gearing up for a wider roll out of self-driving vehicles across the country that would work with other city-wide mobility and connectivity services. Another project from Signify and American Tower placed an intelligence smart lighting system in Huntington Beach, Calif. that supports wireless connectivity for multiple mobile networks. These are the beginning stages of smart city initiatives and are likely to be some of the first types of features that come to major metropolitan areas. According to Bettina Tratz-Ryan, research VP for smart city and infrastructure at Gartner, initially the smart city will consist of the smart grid, smart transportation and smart economy and then transition to features like knowledge community, livable city, sustainable environment, mobile and active society and citizen empowerment. While technology will move many of these initiatives forward, citizens will look to city leaders to provide more context focused services and experiences, Tratz-Ryan said. While these general applications are likely to come first in the smart city. It will be hard to pinpoint a single feature that will spread across multiple regions or cities because different cities are focusing on different features depending on their way of life, funding and existing physical infrastructure, said Norman Akhtar, analyst for smart cities at IHS Markit. However, Akhtar agrees that smart metering—including residential and commercial utility meters—and smart lighting will be the first projects to see major adoption across developed and underdeveloped countries as these projects pay off investments quickly and improve the standard of living in cities. Smart metering is a mature feature of a smart city as deployments have been happening since 2006. These help utilities track energy utilization and helps them pre-plan the energy generation and makes the ecosystem more efficient. 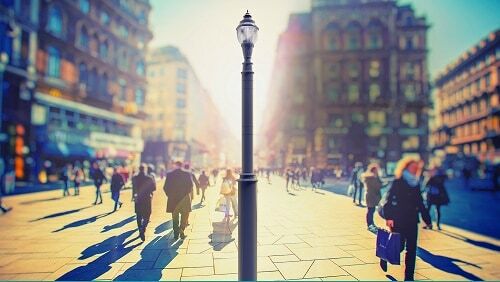 Smart lighting reduces the amount of energy a city needs by diming the lights when not needed and smart lighting poles pave the way for other features related to security and connectivity such as cameras, environmental sensors and other IoT devices. IDC sees the largest spending use cases in visual surveillance, advanced public transit and smart outdoor lighting. By 2022, intelligent traffic management will be one of the largest investments in a smart city and there will be an uptick in officer wearables and vehicle to everything (V2X) connectivity. Projects for smart parking on both streets and inside enclosed structures such as parking garages are likely to come to smart cities after the establishment of smart lighting, smart transportation and smart metering. This will happen simultaneously with security and connected infrastructure being implemented using the setup laid down by smart lighting. Akhtar said another project that has potential is smart ticketing for public transportation in order for metropolitan cities to enable frictionless travel. Tratz-Ryan said that many cities will turn to operational efficiency as a next step with many municipalities encouraging ecosystem development with the private sector and the industry as well as citizens taking a stake in smart city development. This could come in the form of citizens voicing opinions or collecting/sharing data on air pollution in a city or traffic or other problems. This could also play a role in real estate development where space will be developed with service and concierge functions as well as the smart home in mind. What’s in the Far Future? Projects that may take longer to develop include remote medical-related operations and monitoring, fully automated ground and aerial transportation vehicles (such as air taxis) because these will require legislators to define new standards and the technology needs time to mature, Akhtar said. Tratz-Ryan agreed that health and elderly care in smart cities will be dependent on the ability of the government to work with industry players to agree on disclosure terms and ethical boundaries. While there will be some projects related to this emerge, until these aspects are developed it won’t be deployed in a large scale.